Add an option in the player select menu for toggling avatar blocking, beside mute and block, so they can be individually grey-man'd, or restored to visible if default blocking is on. This would allow people to block out obnoxious avatars without having to completely block the player, as well as being able to see individuals they wish to see without expecting them to add you, while having default blocking enabled for performance reasons. 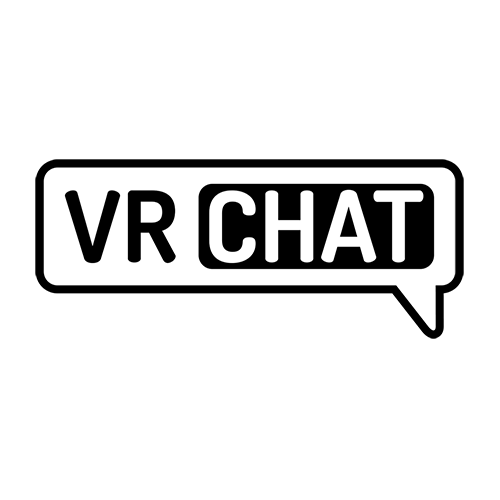 This is included in the upcoming version of VRChat, v2018.3.2! Being able to turn off a specific user's avatar to make them a ghost instead of invisible so that you can still socialize with them. Ive been in many rooms before where theres a number of people and one or two in particular have avatars that are a bit too much for me to handle but I dont want to outright block them, if I could just turn off thier avatar to be that ghosted thing it would help. Add an option when clicking on people to only block their avatar possibly by ID too so if it is a world avatar we wont see it anymore. This way we don't have to block everyone's avatars which is boring AND we can block crasher avatars, know spam avatars etc... in my opinion this would be extremely useful. So I was in the pug watching some people dance on the stage, they where very good sadly I stated to lag a lot as the world filled up and more and more people came up to watch the show. Like a lot of people I don't have the best system just an average one but I got lagged out badly by all the avatars close by. I temporally turned on block all avatars and the lag went away but so did the dancers avatars. Now if I was friends with the dancers I would still see there avatars as friends are not effected by block all avatars and would be able to see them dancing but I am not friends with them so there avatars got blocked. I wondered why when you select a person there is no option on how to deal with there avatar only friends requests/block them etc. So my suggestion is for a Avatar button thats on normal and when you click it the button changed to blocked then to whitelist or unblock. The block option blocks there avatar encase its lagging you out or is offensive. The whitelist which is what this suggestion is mainly about lets you still view there avatar when block all avatars is selected like they where a friend without them been one. This would be great for anyone entertaining or showing of an avatar where you would like to see just them and hide the other avatars to prevent lag. I know there are other suggestions for personal block avatars but I have not seen any for whitelisting/allowing avatars outside of been friends with someone. A whitelist would allow a player to be in worlds with all avatars blocked, immune to crashers, particle abusers, and offensive avatars with the option to whitelist and see only who you want to. An example would be to look directly at someone when they are using a smaller avatar instead of at the head of the default avatar which would be much higher. Also dancers or performers as stated above. Currently to accomplish this, a friend request is required. This can be a hassle for the recipient and potentially the initiator to simply be able to see another player while maintaining a certain level of safety. My support for a whitelist comes after a night of using the emergency mode multiple times from raids by abusers. This could also be used to quickly cycle through users in a world to see which is abusing particles or shaders for kicking/reporting. Sometimes a player has a bad avatar whether it was intentional or not yet you dont want to block everyones avatars. Under the menu option where we can mute or block people can we be given an option to toggle thier avatar on/off (in which thier avatar becomes that ghosted stick figure guy). Say you've figured out the culprit as to who's force zooming your camera, or whoever is spamming eye bleeding images or even attempting to overheat your system. You could either Panic mode to stop everyone... Or add the offending avatar ID to the Derender list. Its like a softer version of Blocking where it forces them to default gray avatar from panic mode, but it doesn't vocally mute them or make them invisible.